All of these books are addressed to those who ponder the spiritual destiny of human beings and question their place in the evolutionary process. These are book reflections with no recipes, but they offer motivation for further meditation and self-knowledge, serving as a support along the path towards cognition of eternal values. The enormous Power of Love that pours as a powerful stream from the pages of her books touches children’s hearts as well. Her fairy tales are small miracles of kindness and compassion, where good not only triumphs over evil, but also teaches evil how to love. The range of topics and questions covered in the books of Zinovia Dushkova is very broad and, moreover, one can find the same subject illuminated from different angles in various books, helping to deeply penetrate its essence. Having a certain harmony, melodiousness, and amazing rhythm, the books of Zinovia Dushkova help the reader feel the extraordinary charm and beauty of the Russian language, with its manysidedness and raciness. Repeated reading allows us to discover new facets not previously seen or felt and see the diversity and multiple levels of the topics presented. They inspire the reader to create beauty in the world, triumphing over any evil by Love. All books are united by the one theme that imbues them all — this is the theme of Love. Every book is written in simple and accessible language and is understandable to all age categories. Ideas of national and cultural values, cultivation of high morality, respect for the feminine principle and a sense of beauty, in train with behavioural culture, religious tolerance, and peacefulness, underlie each offering. They illuminate the eternal question of Love — from a new angle. I use the material from her books to resolve almost all conflict situations. Surprisingly, it is usually possible to find answers to all of my questions. Indeed these books will ultimately further the development of any growing person. With full responsibility, I applaud them as the methodical literature for use in educational institutions. Right now, in this difficult but crucial time, the literary works of Z.V. Dushkova are extraordinarily important, carrying the light of great humanistic truths and of Love, heartiness, and great tolerance with regard to each other — the light that helps a human being to become a true human being. Among the mass of books that destroy the morality of youth, the beautiful and kind books of Zinovia Dushkova shine like jewels, teaching Goodness and Love. This collection, in which the Russian writer Zinovia Dushkova refers to several traditional themes, is a profound book, which one can approach on many levels of understanding — right up to the almost mystical “harmony of opposites.” In terms of a child, each tale shows that in order to survive, we have only one option — to treat every creature and thing with love and care. There are no substantial contradictions in the fairy tales of Zinovia Dushkova. Here, Good is affirmed not through “fair” aggression — which also has dangerous social consequences, but through the construction of the space of kindness — primarily within one’s own personality. It is very clearly shown that only by developing positive qualities and abilities in oneself, including tolerance, wisdom, compassion, and love, can we hope to change others as well, enveloping them into the world of morality, guided by our own personal example. Members of our Association have been working with these fairy tales in orphanages, centres for under-aged mothers, and detention centres. Listening to these stories has had proven beneficial effects on children — they become more calm and balanced. And these are not “domestic” children enveloped in parental warmth and caress, but little people who have often experienced the pain and cruelty of the streets. It is pleasant to see joy and peace in their eyes, while feeling that their little hearts have been thawed. People who work with such children report that there is beneficial impact studying process, too, and that children have become more attentive and diligent. In an orphanage at the end of the school year, a special commission checks the progress of the children to whom Fairy Tales for the Saviour was read during the year, and no child was transferred to a special school. Children feel the warmth and tenderness that pervades the fairy tales, and, in response to these feelings, they begin to care more about the surrounding people. The fairy tales have had a positive impact on a group [in kindergarten], the microclimate has been improved, there’s more benevolence, and positive emotions have appeared in communication. The children have become more diligent; they are listening to the fairy tales very attentively, which is not observed when the tales of other authors are used. A special feature of the fairy tales of Zinovia Dushkova is the absence of defiantly negative characters, who always, surely, improve at the end of tales, alongside positive heroes who only see good in people. Children have begun consciously seeking to spread a moral experience, gained in the staging of the fairy tales, impressed on other life situations — which indicates the profound influence of such tales. Fairy Tales for the Saviour contribute to the formation of important qualities such as faith in the good principle of any person, benevolence, forgiveness, and attentiveness to the surrounding world. They teach to hear and understand the other person. A common thread running through the fairy tales is the thought of the ennobling power of spiritual strength in the face of trials; the thought of the all-triumphant power of pure, unconditional love and kindness, forgiveness, and compassion. The tales are small in volume; however, everything in them has its own profound meaning and significance. These are little “pearls,” which, as seeds sown in the human soul, may ripen into one’s real treasure in the future. And if beauty, sacrifice, and compassion become faithful companions of every child, they will indeed be capable of growing into a saviour of their relatives and the entire world. I have been conquered by this book. It should be placed in the hands of both children and parents. These tales address the message of Love, sharing, and understanding others. It is especially necessary to teach our children about these, especially today, when violence dominates almost everywhere. A marvellous book, which enables the hearts of both children and parents to open up, thanks to the wisdom and symbolism which comes in these twelve fairy tales. Once the book ends, you should re-read this anthology of wisdom over and over again in order to absorb all the spiritual warmth emanating from each story. At the end of this fantastic journey, you will have an illuminated heart and joyful soul! These fairy tales not only captivate children with descriptions of colourful events, they also help them understand the importance of good and beauty. According to our experience, this book is simply irreplaceable for school teachers and children’s educational institutions. Briefly: this book bears Light and Love. It awakens those who touch it, bringing the best and kindest, and most importantly — it awakens the desire to become a better person, doing good, and bringing Light and Love into our surrounding world, which is sometimes so cruel. The number of requests from students wanting to use Lessons and Motives from this book speaks to its high educational effectiveness. It helps everyone answer the following questions: Who am I? How do I live? Why do I act like this? What do I want from life, from myself and from other people? Where to go next? What to learn? 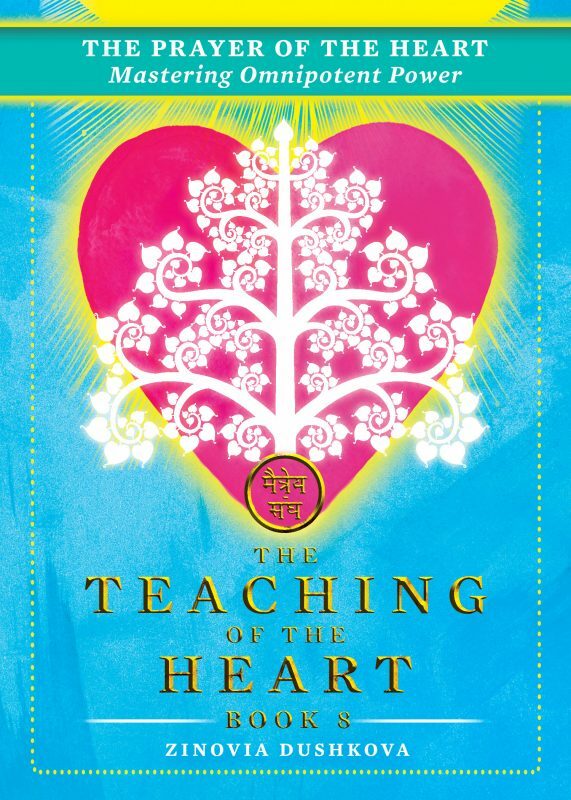 The answers within will enhance the formation of a more conscious and spiritual attitude to students’ own lives, as well as the lives of others. The book is of great interest to teachers and students of our college and is used in literature classes. Using this book as training material for women suffering the effects of domestic violence has brought far superior results compared with other manuals in psychotherapy. Each section of the book is a “psychological pearl.” Participants in our training programmes have been helped by the positive tone of this book — a tone derived from the author’s attitude to difficult life situations. It helps people to a new level of personal development, while acquiring valuable experience in interpersonal communication. Each section of 77 Pearls Shining on the Beads of Time provides an example of negative-into-positive transformation. This book has incredible psychotherapeutic qualities, which affirms the value of moral experience, with its high universal qualities and spiritual strength. Lessons of Love, Compassion, Mercy, and so on are distinctive in their unusual heartiness and warmth, imbued with extraordinary Wisdom. Many parents and teachers note that children have become more open and more friendly during and after reading this book. 77 Pearls Shining on the Beads of Time is an invitation to reflect on Love and Compassion — universal values that concern people of all ages. This positive experience of work with children allows us to appreciate the importance and usefulness of the book. It awakens a desire for self-perfection, which has always been a primary goal in life. This is a book that ranks highly among numerous publications flooding the spirituality market. It’s a book which deserves attention, with its high level of inspiration and elegance of exposition. It draws our gaze like a fresco of icons woven from the threads of light. The book lifts the veil of Mystery, casting light on it. This is an unusual and inspiring book and, to understand the Gospel of Sophia, one must enter into a mystery, wherein it is only possible to retrieve brief flashes, capable of illuminating life in the darkness of feeling. This book embodies all the issues that are vital for the purification of the main spiritual and moral values of human beings — and our society. Once again, what is sacred is raised before us at a worthy height, allowing every heart yearning for Love to ascent into the mysterious world of dreams. The pure Love of Solomon and Shulamith is revived again in these pages as a great example for all who aspire to find true Love. This book will be useful to both youth and adults. It could become an indispensable assistant for teachers, educators, and for parents in helping cultivate humanism and high moral qualities, such as loyalty, fidelity, and chastity. The Star of Shulamith tells us about the Great Divine Love of Shulamith and Solomon. People must learn to love each other and obey the commandments of Jesus Christ. This message has not lost its significance, even today. The book shows images of pure Love in such a way that one can become acquainted with them, touching them, feeling them, and becoming like them.